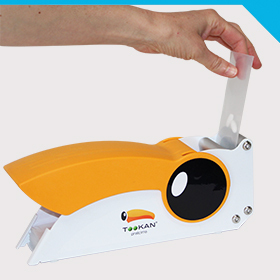 The Tookan pill crusher enables to reduce drugs to powder. As it is equipped with an integrated handle which allows to crush all medicines without any efforts, it is suitable for anybody. Thanks to the storage of bags in the Tookan, no loss neither contamination are possible with other medicines. Hygiene is therefore completely respected. then place the bag into the crusher. 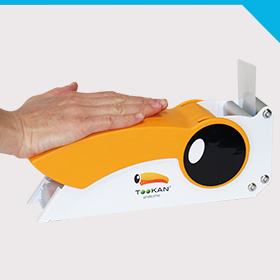 Press with your hand, then release! Drugs are now reduced to powder!